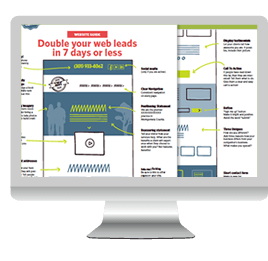 Are you getting any leads from your website? 80% of website owners don’t. Just imagine how great it would feel to get 3 or 4 qualified leads in your inbox every month. The following article outlines my 5-step guide to turn your website into a lead-generating machine. A website is a marketing tool. Use it to feature the service that brings you the highest profit margin, the best clients and/or the most joy. In other words, choose a niche and focus your marketing efforts, especially on your homepage. Then craft your language and sales offer to clearly describe this one thing you are selling. Your services page can list ALL of your services. But really focusing in on your homepage will help your business grow. Tip: As you write your home page text, imagine that you are offering advice to your favorite Aunt. Try not to sound like you are selling something — instead write informative, educational, and friendly home page copy. 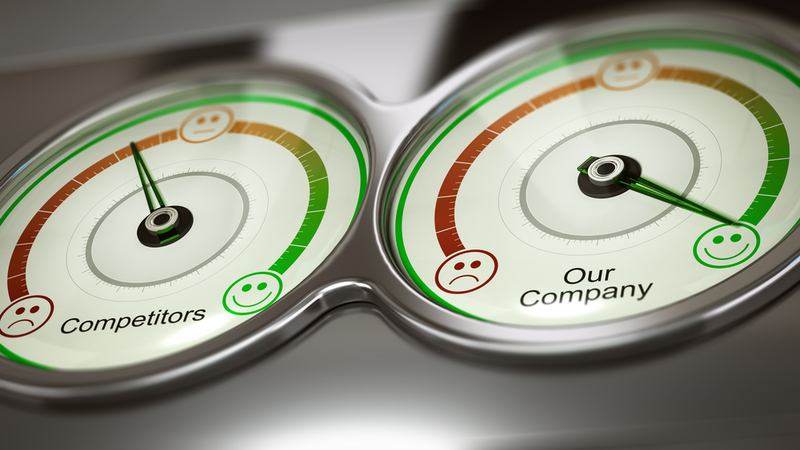 Include social proof that you give great service (testimonials from your clients). If you are selling legal services, write about the pain of not having your affairs in order, or how difficult it is to choose the right estate attorney, or how often the cost is difficult to determine. Address their concerns upfront. If you offer fixed prices and face-to-face meetings, let them know and this will assuage their fears (pain). 3. Offer a super-helpful resource download in exchange for an email address. Brainstorm ideas for free content that you can offer that will help solve your audience’s problems or answer their questions. It’s okay to give away some of your best tips! Offer a blueprint, road map or cheat sheet download that is no more than 1-2 pages. For example, “A cheat sheet to getting your paperwork in order now that you are expecting your first child”. Invest in professional design and make sure your resource includes links to your website. Then add it to your website as a PDF download in exchange for an email address. Now that you are collecting email addresses and building your list, set up a sequence of automated emails to nurture this new relationship. I use MailChimp. I keep these emails super simple, so they look like a personal email and not a sales promo. No graphics. No branding. Just a helpful email from me to my new prospect in plain text, with links back to my website, and an offer to help. The first email provides the link to the free resource again, in case there was any trouble downloading it. Take this opportunity to introduce yourself and thank them for visiting your website. Gratitude is important! Don’t take their opt-in for granted. Let them know you appreciate their time and attention. This welcome email lays the groundwork. Tell your prospect what they can expect from you in future communications, including types of topics, what form (newsletter, blog post, etc. ), how often. This first communication gives them a taste of what is to come. Make sure you hit on their pain points so they want to continue the relationship. This is the time to ask them to follow you on your social media channels. Ask them what their biggest challenges are in relation to the services you offer. This builds rapport and trust. After the welcome email delivers, stagger your emails so that you don’t communicate too often and become annoying. 3 days after the previous email — Send them a success story with a testimonial. Who did you work with that LOVED your services, and why? Share this. 8 days after the previous email — Then drop them into your blog post drip so you are top of mind when they are ready to work on the estate planning. Send out a helpful, educational blog post once a month, or quarterly. Benefit 3: Rest assured that your new child will be taken care of if anything should happen to you. Call to action button: Schedule a get-acquainted call by clicking here. That’s it — my 5-step plan for a website that brings in new leads. While this doesn’t work overnight, it does work over a series of weeks and months. Keep generating great blog content. Add a link to your free resource in your email signature. Offer the resource whenever you speak at events and conferences. Share the link with strategic partners so they can offer the resource to their list of prospects.